The Mountfield S461RPD/ES has a rear roller to leave that highly desirable classic striped effect to your lawn. 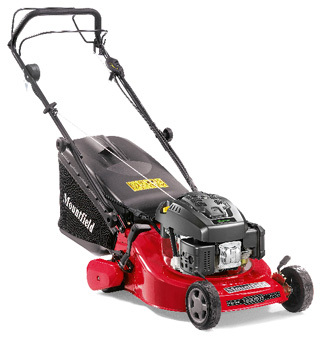 Powered by a Mountfield RM55 four stroke petrol engine with electric key starting This mower is power driven. If you have a fine lawn and want those classic strips with the convenience of electric starting, look no further, the Mountfield S461RPD will give a superb finish.